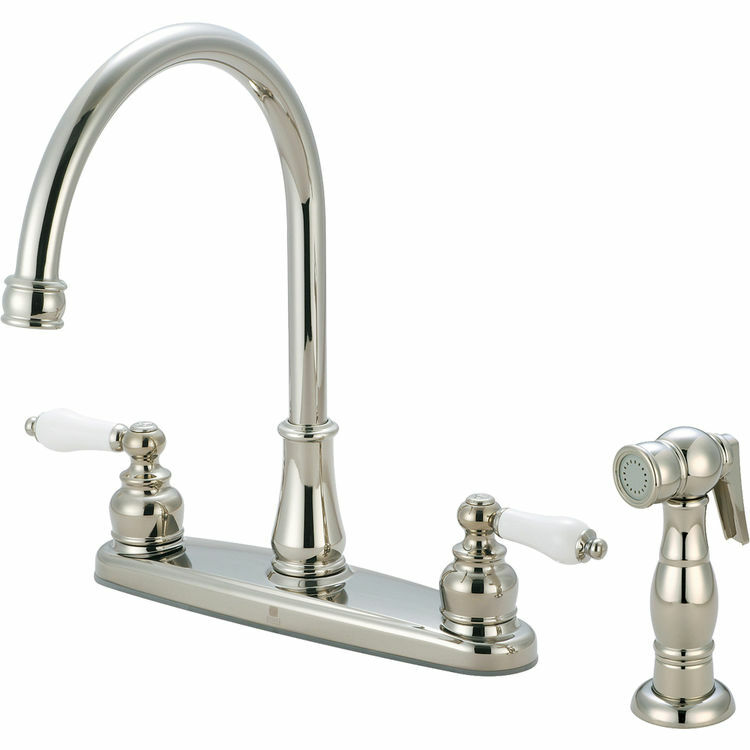 The 2BR111-PN Two-Handle Kitchen Faucet is a part of the Brentwood Series. This kitchen faucet features two porcelain lever handles for precise volume and temperature control, an 8-1/16" long 7-5/16" tall hi-arc gooseneck spout with a 360-degree turning radius, ceramic disc cartridges, a 4-hole 8" installation, and a 1.5 GPM flow rate. This model also comes with a convenient, color-matched side-spray for easy clean-up and water where you need it most. The Brentwood Series offers only the best of elegance and craftsmanship with it's timeless design that compliments any style you can pair it with. It comes in a timeless, Polished Nickel finish.